Their breadth of learning environments constitutes a hopeful sign for the future of the church active in the work of meeting basic needs, developing capacity and advocating for justice. I began my tour of southern Ontario with new student, Lynn Smith. Lynn will be working at a new initiative – a centre for spirituality, the arts and social justice — located at George Street United Church in Peterborough. David Kai, (grad 1987) will be Lynn’s mentor and Christian Harvey (a lay worker at St. John’s Anglican Church) will be her learning facilitator. 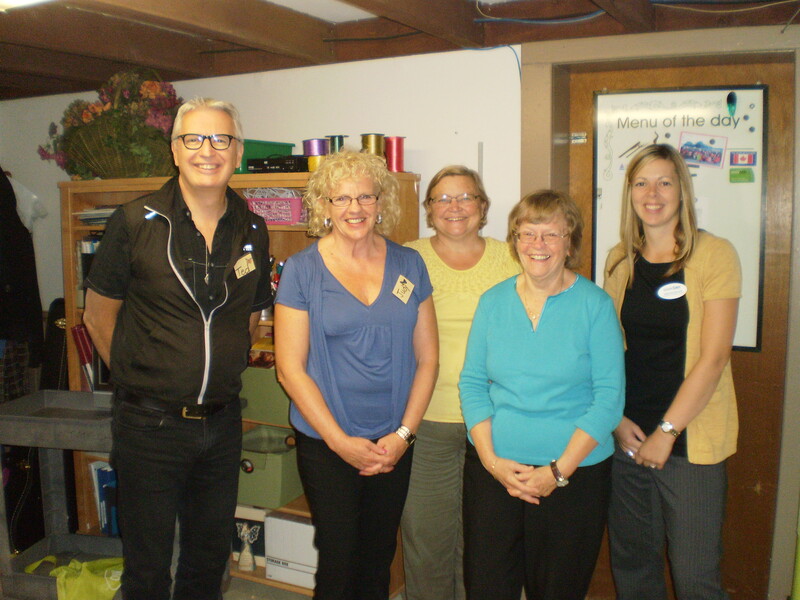 Her very energetic and creative local committee include: Mary Gordon, Trish Graham, Paul Smith, Brenda Dales. 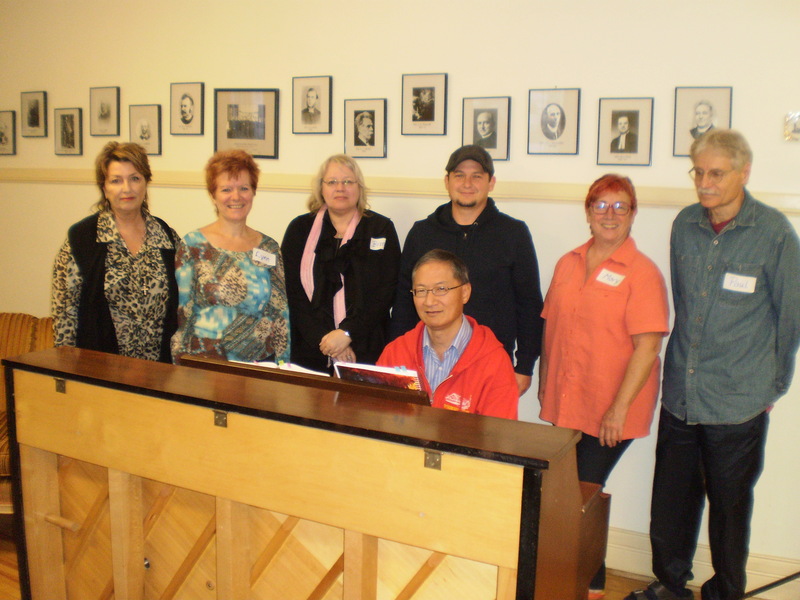 As well, I visited Trinity-St. Paul’s United Church for Jackie van’t Voort’s field orientation. Jackie has already begun her work in the area of corrections. Gwyn Griffith (principal, 1982-1991) continues as Jackie’s mentor and Elda Thomas will be her learning facilitator. Members of the local committee include Don O’Shaughessy and John and B.J Klassen. In Windsor, Jim Hatt’s field placement will be at the Downtown Mission. Ron Dunn and Dino Salvador, staff at the Mission, will be his learning facilitators. Cheryl Kirk (grad 1979) continues as his mentor. 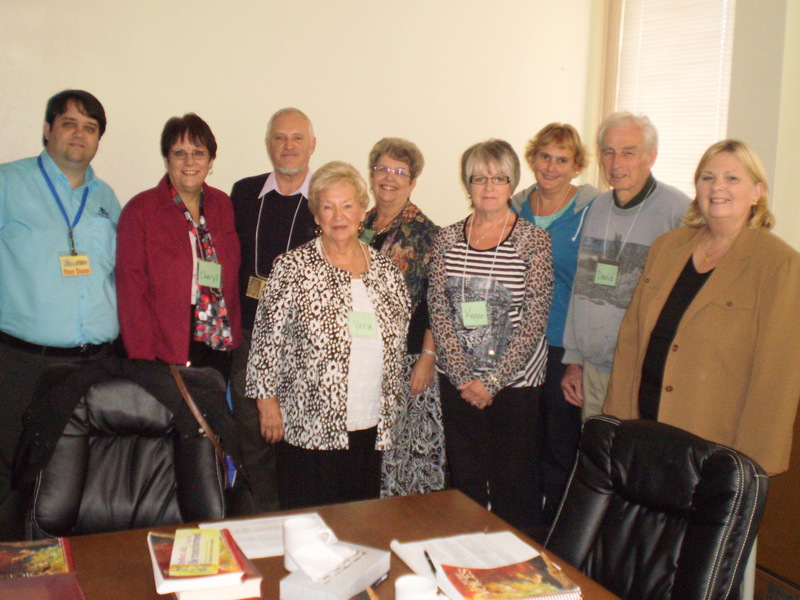 Marnie Aldridge, Vera Newman, David Plant, Arleen Hatt, and Karen Arnold are the steadfast members of his local committee. Ann Rowsell from Jim’s Discernment committee joined us for part of the afternoon. 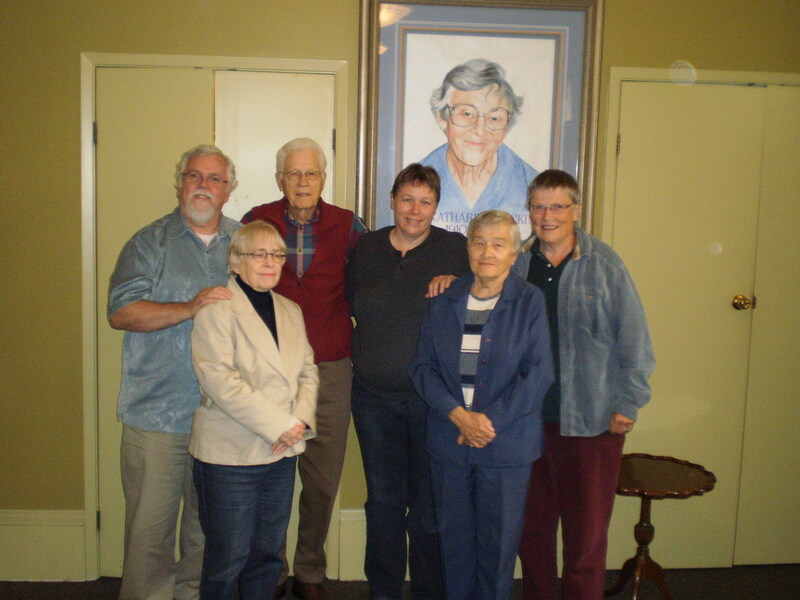 In Tavistock, Ellen Baynton-Walker is continuing at the Long Term Care facility PeopleCare. Ellen will be focusing on the advocacy role and broader social implications of an aging population as she performs her on-going duties as spiritual care provider at the facility. Marilyn Shaw will serve as Ellen’s new mentor and Kristen Regan remains for a second year as her learning facilitator. Judy Wagg from Kitchener represented the local committee. 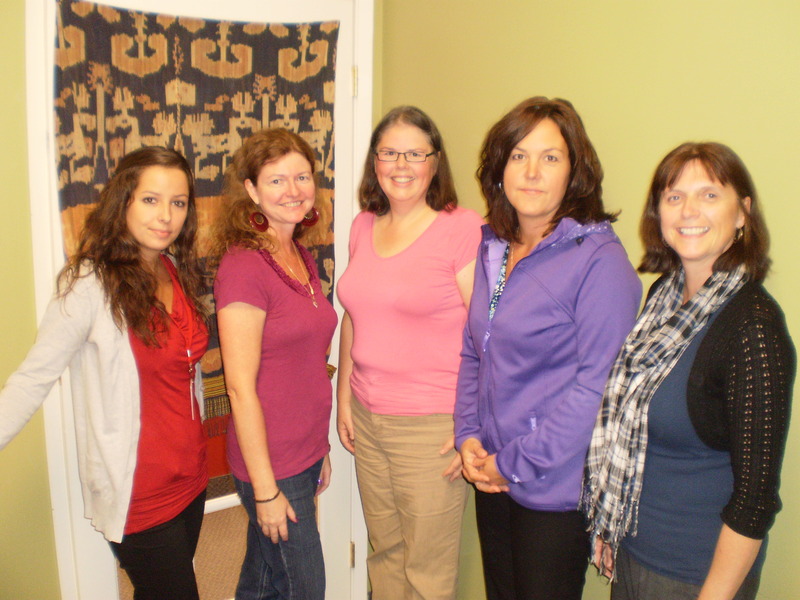 Anita Rowland will be working with the Caledon Community Services (another CCS!). She is connecting with the work on food security and housing. The energetic and committed staff at Caledon who attended the orientation are Michelle Stubbs, Layla Panjeta, Lori Pirroncello and Kim D’Eri.